It's the Democrats who "have an edge" in enthusiasm in the upcoming midterm elections, says CBS News political director Caitlin Conant. 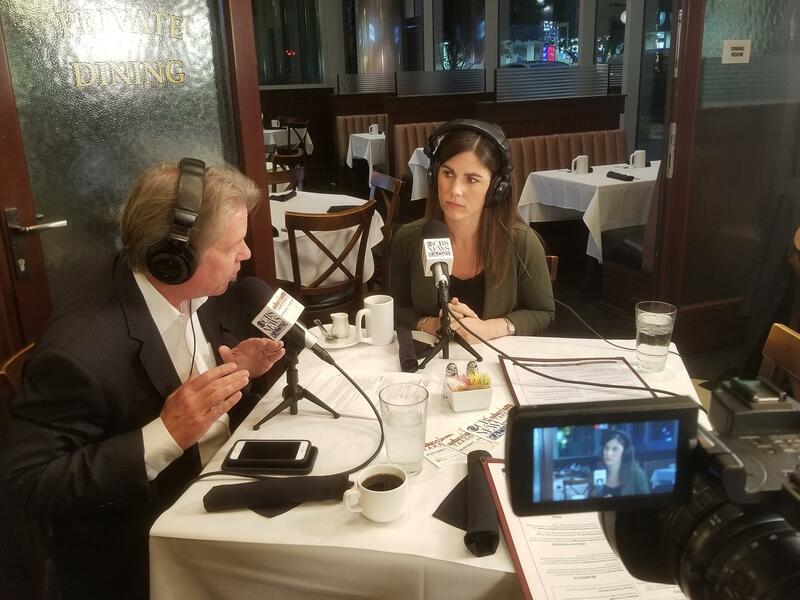 On "The Takeout" podcast this week, Conant and host CBS News' Major Garrett discussed the election and the critical races which could decide which party controls the House of Representatives and the Senate. "People are more engaged in politics now, for better or for worse," Conant said about the impact that President Trump has had on electoral politics this year. "The Democrats especially seem to have an edge and an enthusiasm gap, and they are hoping to have a very high turnout that will help them take over the House and potentially make gains in the Senate." Conant identified some close House races as potential early indicators of whether the Democrats will make significant gains in Congress. On the East coast, she said that Pennsylvania and New Jersey could be bellwether states, as well as Virginia. In the Midwest, she mentioned Republican-held seats in Minnesota which Democrats are hoping to flip. Democrats would need to see a 23-seat gain to win control. However, if the margin between Democrats and Republicans is close, it could be difficult for Democrats to get anything done, Conant observed. On the Senate side, Conant pointed out the Texas Senate race between Sen. Ted Cruz and Democrat Beto O'Rourke as one to watch, as well as a tight races in states which Mr. Trump won, such as the one between Sen. Claire McCaskill and Republican Josh Hawley. Mr. Trump won Missouri handily in 2016, but that was partially because Democratic turnout was down. That could change this year. "Turnout was very low for Hillary Clinton in St. Louis in 2016, so they're hoping that they can get that up," Conant told Garrett. President Trump's campaign presence is an important factor in the midterms, and he has been making immigration a key talking point in rallies ahead of the election. "At first, Trump and the Republicans were talking about his record of results in the first year," Conant said. "Now, he is talking about what he will do. He has made bold promises, just like he did on the campaign trail (in 2016)." While neither Democrats or Republicans have offered a vision for the future, Conant said, Mr. Trump has lately been raising actions he might take on immigration, like barring asylum seekers from entry at the southern border, erecting tent cities to house those seeking asylum, and ending birthright citizenship. "I think Trump realizes that, 'In order to get people to turn out, I need to talk about what I'm going to do,'" she said. For more of Major's conversation with Caitlin Conant, download "The Takeout" podcast on Apple Podcasts, Google Play, Stitcher, or Spotify. New episodes are available every Friday morning. Also, you can watch "The Takeout" on CBSN Friday at 5pm, 9pm, and 12am ET and Saturday at 1pm, 9pm, and 12am ET. For a full archive of "The Takeout" episodes, visit www.takeoutpodcast.com. And you can listen to "The Takeout" on select CBS News Radio affiliates (check your local listings).